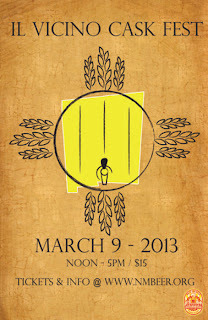 Albuquerque Beer Scene: What the Firk are You Doing on Saturday? That's nice to see The Wellhead involved in the Cask Fest. I don't have much reason to get down to Artesia (or south of Central Ave.), and I guess email takes longer to get there, because I haven't heard back from the brewery as to what they will be bringing to Cask Fest. 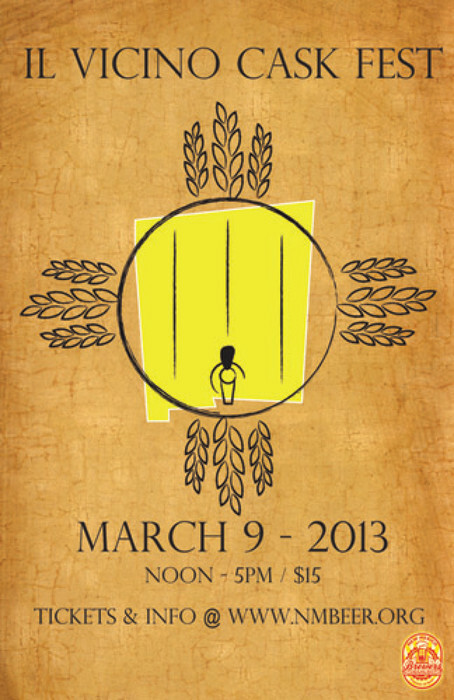 But I will be sure to leave the couch and try all these new beers that will be available at Cask Fest. The fest runs from 12-5, so there is plenty of time to sample. Get your tickets for $15 at NMBeer.org or stop by Il Vicino, where there are still a few tickets available. The price gets you samples of all the casks plus a glass of the beer you like the best. The brewery that gets the most votes wins the title of "Best Frickin' Firkin". I've been called worse.